SpezDispenser wrote: Where are teams gonna pick if this lockout continues? Another Crosby draft? If the season is wiped out, yeah, it would be a re-do of the Crosby draft. I want to move up to first please. Thanks. 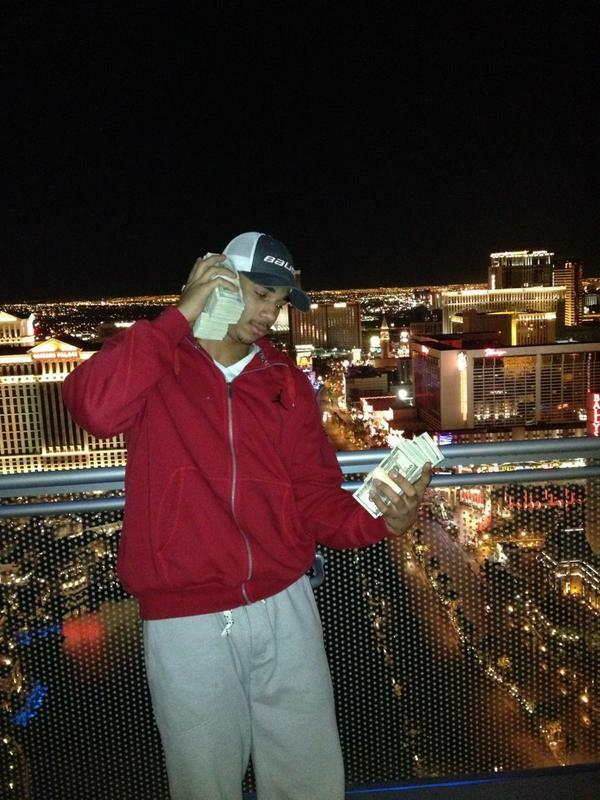 "Hey @FloydMayweather pick up your phone cause I'm callin #imdifferent @jduppal pic.twitter.com/UZ3GYO4K"
Heh heh. Too funny. Kids with money... why are people surprised at this? Bad timing with the lockout for sure, but if I had those wads of $$$, I'd be doing the same thing yo. If those are all $100 bills, that is a TON of cash. Probably fake. Who goes to the bank to retrieve that many bills? LeKid wrote: Probably fake. Who goes to the bank to retrieve that many bills? How do you think they get paid in the KHL? Bags of cash. And that's no joke. In Dollars? And that photo is in Vegas, is he back in North America? The picture is from the Cosmopolitan Hotel in Vegas. I always forget how to post a pic , if you want to see for yourselves..
Terrace Studio - Fountain View room. Packs of $100 bills y'all... yeah, he's back in NA, KHL didn't work out too well for him. I think he was cut. Was that his severance package? Anyone catch the '93 (or was it '95?) World Jrs game TSN had on the other night? Wade Redden, Bryan McCabe, Alexandre Daigle, Jason Allison...it was great. The best was when Bob McKenzie (doing colour commentary) was talking about Daigle's great work ethic. It was also funny when he talked about Jason Allison "not being the greatest skater". Did anyone know Allison once had a 92-point season with the Bruins? Wow.